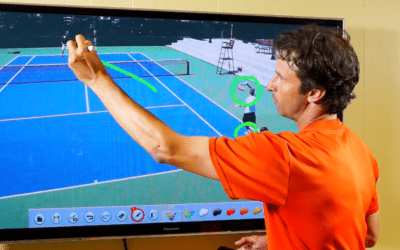 Today you’re going to get a tennis lesson for advanced players, and it involves how you can start using the topspin lob when your opponent comes to the net. 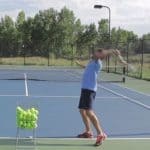 One of the keys to using the topspin lob tennis lesson is setting up the shot to use it at the right time. In this case, consider using it as part of a two shot combination. You can hit a dipping passing shot at your opponent feet and then on the second shot, you can use the forehand topspin lob. 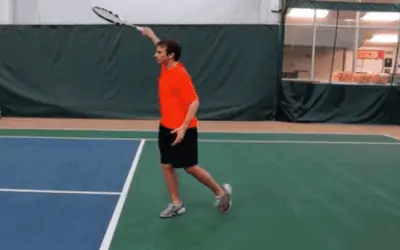 Your opponent might be closing after the dipping pass and could be ready for another pass, but instead you’re going to surprise him/her with the topspin lob. You can disguise the shot even more by using the buggy whip forehand finish on the topspin lob. 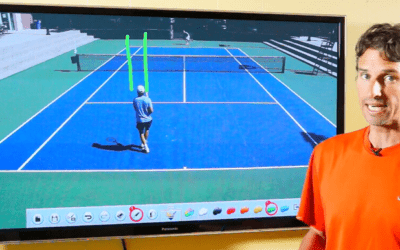 Next time you are playing and your opponent attacks your backhand, you can hit a dipper passing shot with safe margins at your opponent feet and then move across the court to use the buggy whip topspin lob…this is a perfect tennis lesson an advanced player can use. 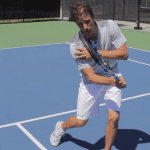 This tennis lesson for advanced players can add another dimension to your defensive game. The top pros in the world, especially Rafael Nadal, will use this buggy whip finish on the topspin lob, and you can do it too to win more points. This is terrific, using the shot in the play like that. And I think this approach is just as good in doubles. I agree with you, Robert! Just a comment about the topspin lob video; I have used this tactic with and slice backhand to the feet of my opponents followed up by a topspin lob. My comment is that I do the topspin lob with complete balance with weight forward and a push of the topspin shot which makes the ball go deep and take off on the opponent who is racing to get to it before it is out of reach. I get more of a pop off of the topspin with the push of the stroke. Just thought I would add this comment, since I saw the off balance hitting of the topspin lob stroke. I practice this shot with a ball machine and practice both forehand and backhand topspin lobbing down the alley and cross court. This is a great observation, George! Thank you! 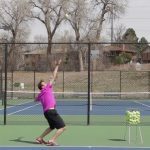 The topspin lob is a great shot I strategically like to use that keeps you ahead if done correctly. Incorrectly executed and the ball flies too low and is smashed backed at you. The other side is also true, where too much force is applied and it flies past the base line. If you’re going to use it judge the distance correctly for contact.